MOVING TEENS FROM COMPASSION TO ACTION- WITH A YOUTUBE VIDEO AND SMALL GROUP QUESTIONS YOU CAN USE! That was my nephew’s prayer. A few years ago I wrote a vulnerable article about bullying- Voices of the Bullied– sharing the story of my past and trying to garner some sense out of the experience. In that article I noted: there’s a lot of people talking about bullying… who haven’t been bullied. Over the holidays I got a chance to spend some good time with my 10=year-old nephew, and I began noticing he was using the word “bullying” quite a bit: he had written a song about being bullied, he was Googling videos about being bullied, and even in his prayers he would consistently pray for kids who were being bullied. Come to find out, he has a good friend who has been bullied by other kids he thought were his friends. My heart bled for him and his friend, because I remember 5th grade is when it got extremely tough for both my son and me. My nephew is in 4th grade. Nielsen just did an international study about bullying, noting that the effects of these experiences weren’t just a distant memory, “they’ve adversely affected people’s relationships well into adulthood.” I wouldn’t disagree with that. In all honestly, I think I still struggle with self-esteem issues that root back to my extremely tough middle school days. 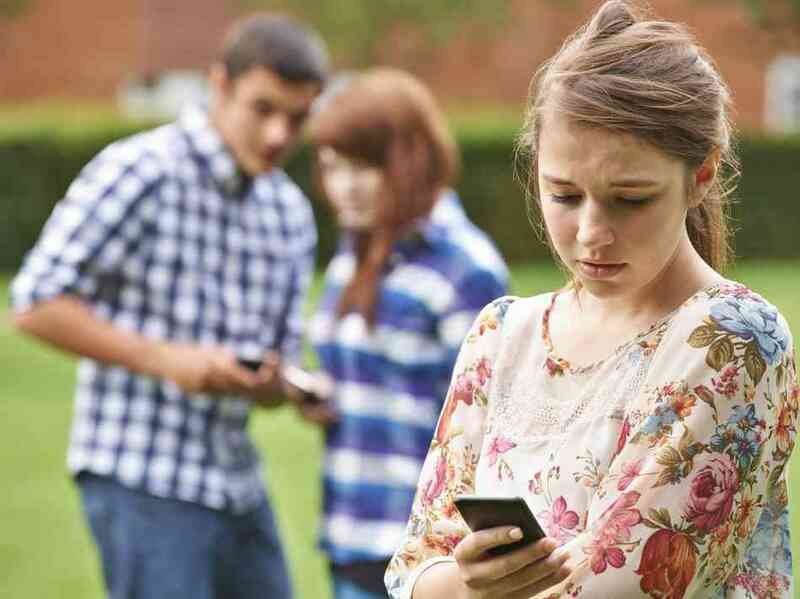 Of course bullying has brand new avenues today thanks to the world of social media. In today’s digital world, young people are already struggling to find affirmation, and for many of them their worth is measured by how they compare with others online. Some new reports have found children are struggling with “low self-esteem, loneliness or deep levels of unhappiness as a result of using the Web.” Sprinkle in a few mean words in a comment section, and kids are devastated. So what can we do for our kids? You’ve seen the studies. The overwhelming majority of young people have had some experience being bullied. Half of young people today have admitted to bullying. Over 50 percent have been cyber-bullied, 25% repeatedly. Young people are familiar with this, they know bullying exists, but they are so caught up in their own world, many don’t feel empathy for others. I’ve addressed this growing lack of empathy before, in a world where the Smartphone is not only stifling young people’s ability to recognize non-verbal cues, it’s actually decreasing the ability to empathize for others (more on this in my article, The Smartphone—Today’s Conversation Killer). The first step to fixing this is to bring the issue to light; and one of the best ways to raise awareness about something today is to use the medium they all love, entertainment media. Be honest. Did you tear up? Let’s be real. This video makes you feel for the “underdog.” It also gives you a glimpse into the world of someone who has been picked on. A video like this helps raise compassion. Help your kids take the next step. Most of today’s young people are familiar with the problem, but they don’t really recognize how it begins and they don’t know how to stop it. In other words, they might not enjoy seeing a small kid getting pushed around by a bigger kid, but they have no problem making fun of or giggling at someone who doesn’t fit into their social group. Why do you think this young man was so compelled to rap about bullying? What were some of the things he pleaded to “Mr. Bully” in his rap? Will “Mr. Bully” listen to this? Why or why not? What are some of the subtle ways people bully today, or make other people feel low? Read Philippians 2:1-4. What very practical advice does Paul give us, especially in verses 3 and 4? What are some examples of this? What does it mean to “consider others better than yourselves”? What would this look like in your world specifically this week? This progression of questions moves them from compassion to action. Service projects are powerful. Some of the most impactful moments I’ve had as a parent and in youth ministry were working side by side with my kids at a soup kitchen helping the poor and needy. I’ve seen the toughest of kids break down, literally overwhelmed with compassion, when they saw the needs of others first-hand and actually did something about it. What are some of the ways you can help kids not only experience compassion, but do something about it? Sometimes students will come up with far better solutions than us. My nephew (again, he’s in 4th grade!) began an anti-bullying club at his school that half of his class has joined. The read articles about bullying and do role plays, etc. It’s his passion. Do you have any kids who are passionate about this? How can you help them make a difference? BRING JONATHAN TO YOUR CITY TO SPEAK ABOUT THIS! ARE YOU DEVELOPING STUDENT LEADERS? Is bullying really a much bigger issue than 25-30-50 years ago? I’m not Sure I have ever talked to anyone who wasnt on both sides of this at one time or another. Parents have failed to teach their kids to have thick skin…and society has made fighting taboo. My folk’s told me to ignore it and walk away. It wasnt until I cracked a couple jerks in the teeth that things got better for me. Ive seen the same thing in my own kids lives. Our whole society is so bent on being nice and building esteem that any thing that seems counter to that is perceived as insensitive or bullying behavior. Chew out an employee or student for poor or incomplete work and your accused of yelling or screaming at them. No doubt Some kids are harassed and in need of relief. I think most need to grow Some hair and get tough. This will require strong fathers who take their God-given role as leader provider and protecter seriously.